Why Bring a Bonesaw to a Kidnapping, Your Highness? That is a question the crown prince of Saudi Arabia should be asked at every opportunity. President Trump should be similarly interrogated, along with the members of his team who so far seem eager to become accessories after the fact to the murder of Jamal Khashoggi. Given that the Saudis have reverted to a lie so preposterous that even their own chief prosecutor felt compelled to abandon it weeks ago, the president should be asked: Why are you abetting this crime? Are we really okay, as a country, with an ally luring a journalist living in Northern Virginia into what should be a diplomatic sanctuary for the purpose of assassination and dismemberment — and then baldly, brazenly, ludicrously lying about it? Apparently, for Trump, the answer is yes, we’re fine with that. Secretary of State Mike Pompeo, fine. National security adviser John Bolton, not concerned. Majority Leader Mitch McConnell, are you fine with that? Speaker Paul D. Ryan? Will Congress go along with this coverup? Because that also will be a choice. Congress does have alternatives. For starters, it could summon CIA Director Gina Haspel, who listened to the tape of Khashoggi’s killing, who knows the truth, who almost certainly knows who ordered Khashoggi’s killing, and ask her: Why bring a bonesaw to a kidnapping? Khashoggi, a Post contributing columnist who would have turned 60 on Oct. 13, entered the Saudi Consulate in Istanbul, at his government’s invitation, shortly after noon on Oct. 2 to take care of some minor paperwork. He told his fiancee, Hatice Cengiz, that he would be out shortly, and asked her to wait. She waited — until after midnight. She never saw him again.The regime of Crown Prince Mohammed bin Salman told The Post, told Congress, told the world: Khashoggi left the consulate not long after he entered. Why would we harm him? 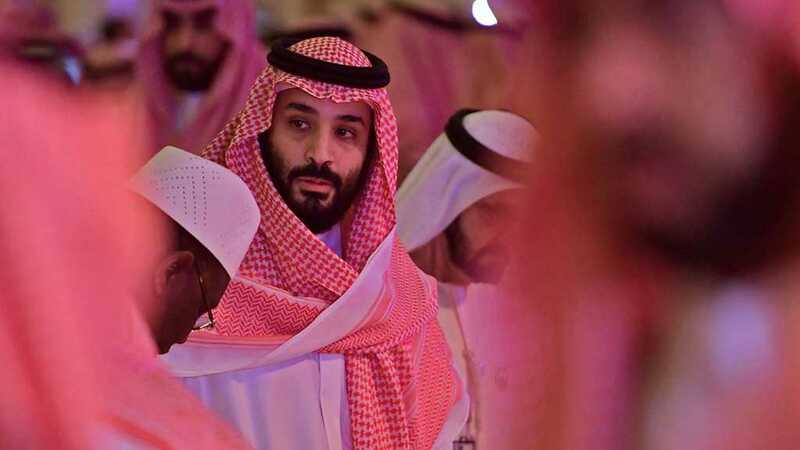 This was the story told by the crown prince and the crown prince’s younger brother, who happened to be the Saudi ambassador to the United States, Khalid bin Salman. Where is the videotape of him leaving, they were asked. Our cameras were broken, they said. Where is the paperwork he came to fill out? They did not bother to reply. No doubt they would have stuck by that story, malfunctioning cameras and all, but evidence got in the way. The Turkish government had photographs of a 15-man hit squad arriving from Saudi Arabia and entering the consulate shortly before Khashoggi. The Turks had audiotape of Khashoggi’s brutal killing, almost as soon as he entered the consulate. They knew that the hit squad included a forensic specialist who arrived with his bonesaw, who put on earphones and listened to music as he dismembered the body. The Saudis retreated to a new story: No, our friend Jamal had not walked out of the consulate. Yes, they admitted, he had died inside. But he had perished in a brawl, when he tried to grapple with the security team (not a hit squad!) that had been sent to meet him. That story, too, was too preposterous to sustain — or so we thought — and the Saudi prosecutor abandoned it, coincidentally just as Turkey was playing the audiotape for Haspel. Never mind, they said, there was no brawl; Khashoggi was the victim of a premeditated murder, after all. Who had premeditated it? They would find out and tell the world, the crown prince himself assured Pompeo, and Pompeo assured us. But on Thursday, the brawl myth was back. The Saudis announced that Khashoggi’s death was unintentional, that a friendly invitation to return to Saudi Arabia had gone awry. Why would you need a 15-man team to tender such an invitation? And even if what you had in mind was “only” a forcible rendition — what you or I would call a kidnapping — why would you need a bonesaw? Oh, and where is Khashoggi’s body? Turned over to a mysterious “Turkish collaborator,” whom the Saudis are unable or unwilling to identify, even to Turkish police. Probably no one in the United States government harbors the slightest doubt that the architect of this crime was the crown prince, as the CIA has concluded. His closest henchmen orchestrated the deed, and they would not dare act without his knowledge. He bets that it won’t matter. He bets that he can feed an already discredited fairy tale to Trump and Pompeo and Bolton, and they will obediently swallow it. So far his bet seems safe. But that doesn’t mean the rest of us have to go along. Filed under: Deep State, John Bolton, MBS, MBZ, Saudia, Trump, UAE, US Lies | Tagged: CIA, Dahlan, Khashoggi's Killing, Pompeo |	Comments Off on Why Bring a Bonesaw to a Kidnapping, Your Highness? Despite the announcement of the “ceasefiure” by the Saudi-UAE-led coalition, clashes between the Houthis and coalition-led forces are still ongoing near the city of al-Hudaydah in western Yemen. Recently, the Houthis have destroyed a column of the coalition-led forces near the al-Hudaydah airport destroying at least 5 vehicles and killing a dozen of coalition-backed fighters. Separately, the Houthis have repelled coalition-backed attacks east and northeast of the city. The Saudi Air Force is actively supporting these attacks claiming that it pounds only military positions. However, the coalition-backed force has not been able to make any significant progress in its push to capture city over the past 5 days. 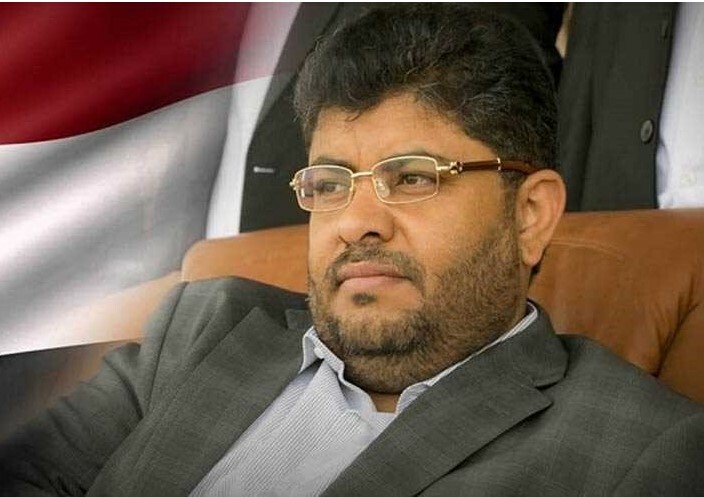 The Washington Post published on Friday the first article of the head of the Supreme Revolutionary Committee, Mohammad Ali Al-Houthi. The continued escalation of attacks against the port city of Hodeida in Yemen by the U.S.-Saudi-Emirati coalition confirms that the American calls for a cease-fire are nothing but empty talk. The recent statements are trying to mislead the world. Saudi leaders are reckless and have no interest in diplomacy. The United States has the clout to bring an end to the conflict — but it has decided to protect a corrupt ally. Any observer of the crimes committed in Yemen by Saudi Arabia — a campaign that has been accompanied by disinformation and a blockade of journalists trying to cover the war — can offer an account of the indiscriminate killing thousands of civilians, mostly through airstrikes. Their attacks have led to the greatest humanitarian crisis on earth. The brutality of the Saudi regime was reflected in the murder of the journalist Jamal Khashoggi. And it can be seen in the military escalation and airstrikes in Hodeida and other cities, in defiance of all international warnings. The blockade of the port city is meant to bring the Yemeni people to their knees. The coalition is using famine and cholera as weapons of war. It is also extorting the United Nations by threatening to cut their funds, as if it were a charity and not a responsibility required under international law and Security Council resolutions. The United States wants to be viewed as an honest mediator — but it is in fact participating and sometimes leading the aggression on Yemen. We are defending ourselves — but we don’t have warplanes like the ones that bomb Yemenis with banned ammunition. We can’t lift the blockade imposed on Yemeni imports and exports. We cannot cancel the air embargo and allow daily flights, or end the ban of importing basic commodities, medicines and medical equipment from any place other than the United Arab Emirates, as it is imposing on Yemeni business executives. And the list goes on. These repressive practices are killing and destroying Yemen. Yemen was not the one who declared the war in the first place. Even Jamal Benomar, the former United Nations envoy to Yemen, said we were close to a power-sharing deal in 2015 that was disrupted by the coalition airstrikes. We are ready to stop the missiles if the Saudi-led coalition stops its airstrikes. But the United States’ calling to stop the war on Yemen is nothing but a way to save face after the humiliation caused by Saudi Arabia and its spoiled leader, Crown Prince Mohammed bin Salman, who has ignored Washington’s pleas to clarify Khashoggi’s murder. Moreover, Trump and his administration clearly prefer to continue this devastating war because of the economic returns it produces — they drool over those arms sales profits. We love peace — the kind of honorable peace defended by our revolution’s leader, Abdulmalik al-Houthi. We are ready for peace, the peace of the brave. God willing, Yemenis will remain the callers of peace and lovers of peace. بتنسيق أو بدونه لا يمكن اعتبار زيارة رئيس الوزراء الإسرائيلي بنيامين نتنياهو خارجة عن المشهد الإقليمي المحيط بكل ما يدور في فلك الخلافات الخليجية الخليجية او العربية الإسرائيلية او الأميركية الروسية بل هي جزء منها وجزء من هذا المشهد هو التحدّي المباشر حول قضية مقتل الصحافي السعودي جمال الخاشقجي وما يعنيه ذلك بالنسبة للعائلة السعودية المالكة التي ترغب بالحفاظ على ولاية العهد لمحمد بن سلمان من جهة وبين الرئيس الأميركي دونالد ترامب الداعم لهذا الخيار وما لحقه من انتقادات أميركية محلية استغلت للتأثير على الانتخابات النصفية. الأول مالي ورفع مستوى التقديمات السعودية لغايات تجارية ونفطية أميركية. وهذا متوقع. أما الثاني فهو صفقة القرن وتمريرها. الأمر الذي يؤكده مصدر سياسي عربي رفيع لـ»البناء» وهو فشل صفقة القرن بعجز سعودي عن تمريرها بعد رفض الملك سلمان التخلي عن الملف الفلسطيني بهذا الشكل والتوقيع. الأمر الذي أُخبر به الرئيس الفلسطيني محمود عباس والحقيقة تعود الى ان العجز السعودي مفاده عدم الاستسلام الفلسطيني والفشل في إقناع حركة فتح والسلطة الفلسطينية التي تزداد تمسكاً برفض اي نوع او بند من هذه الصفقة. وعلى هذا الأساس أخبر المسؤولون السعوديون صهر الرئيس الأميركي المكلف بالملف جاريد كوشنر باستعصاء القضية. بمقتل الخاشقجي صار الضغط على إبن سلمان مضاعفاً وصارت مسألة تغطية الأميركيين له أمراً ليس سهلاً إلا أن ترامب الذي يحظى بمكانة جد عالية عند الإسرائيليين، وخصوصاً صداقة مميزة مع نتنياهو حرك مسألة الصفقة من زاوية خليجية أخرى بدون الغوص بمسألة إسقاط ولاية العهد عن إبن سلمان الذي قدّم الكثير مبدئياً لواشنطن والقادر على تقديم المزيد لاحقاً. وبالتالي فإن تخليصه من الأزمة تدريجياً يبدأ مع الضغط على تركيا التي خففت من منسوب التصعيد، خصوصاً أن الرئيس التركي لم يقدم معلومات مبهرة عن عملية الاغتيال او قتل الخاشقجي ولم يقدم ايضاً أي معلومة حول رد فعل تركي مباشر. فانتظار التحقيقات يعني انتظار «التفاوض» على شيء ما. وهكذا بدأت القضية بالخفوت تدريجياً بدون أن يعني ذلك إقفال الملف بل السكوت على مضض حتى تتحقق المطالب التركية، خصوصاً بعد الضغط الأميركي الكبير والحصار المالي وتدهور الليرة التركية. 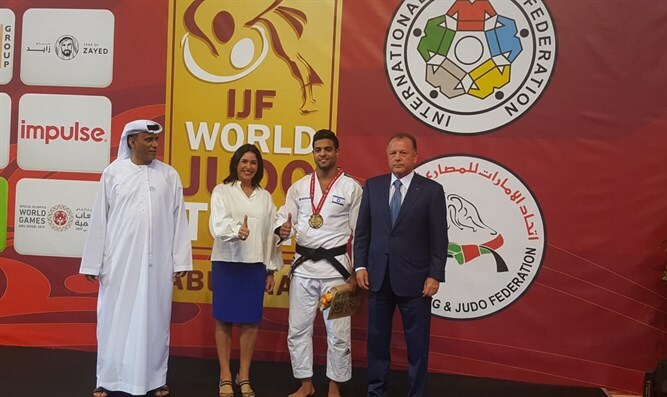 زيارة نتنياهو الى سلطنة عُمان أزاحت المشهد بالكامل إليها ونثرت الغبار وحولت الأنظار عن قضية مقتل الخاشقجي بدون أن يشعر الشارع العربي بذلك. فالصدمة التي تكفلت بها سلطنة عُمان كانت كافية لهذا الشارع للاندهاش والسؤال عما يجري وكانت أكبر من صدمة تقطيع جثة الخاشقجي داخل حرم دبلوماسي. وبعد التوضيح العماني تبين أن الملف هو فلسطيني إسرائيلي أي بكلام آخر «صفقة القرن» من بوابة جديدة ومكان آخر ليس الرياض هذه المرّة. سوابق التفاهمات التي انطلقت من سلطنة عمان كبيرة وكثيرة. فالسلطنة هي التي استقبلت مساعي الاتفاق النووي الأميركي الإيراني والدول الغربية. وهي اليوم تتكفل بادارة الملف التفاوضي بين السعوديين والحوثيين. والحديث عن سحب الملف من أيدي الرياض غير صحيح، لأن التنسيق العماني السعودي قديم وكل ما يجري منذ أكثر من خمس سنوات تفاوضياً بالملفات المذكورة كان تحت الغطاء الأميركي بالكامل، وبالتالي فان قراءة الاستراتيجية الأميركية حيال حلفائها الخليجيين صارت واضحة فتوزيع الأدوار واضح. أولاً: بالنسبة لقطر التي لا تزال حليفة واشنطن فإنها في الوقت نفسه حليفة تركيا وصديقة للإيرانيين. وهذا وحده يتكفل بقطع العلاقة الأميركية معها، لكن هذا لم يحصل وبرزت هنا مسألة توزيع الأدوار على حلفاء واشنطن. ثانياً: السعودية الضامن الأول للتمركز الأميركي في سوق النفط في العالم والمموّل الأساسي للعديد من المشاريع الأميركية والضامن لتمرير مشاريع سياسية في الشرق الاوسط بتامين غطاء إسلامي عريض. فلا يتخلى الأميركيون عنها ولا تتخلى عنهم مستغلة الدعم الأميركي بوجه إيران وسياساتها التي ترفع واشنطن من منسوب تهديدها «الوهمي» والمبالغ فيه بالكثير من الأحيان. ثالثاً: سلطنة عمان التي تعتبر منصة التفاوض في آخر الطرق وإنذار إعلان التحولات الكبرى، وهي مسرح للتفاوض السياسي وإرسال الرسائل ونقطة وصل بين المتخاصمين. ومما لا شك فيه أن حياد عمان وقلة تدخلها بجدالات الساحة العربية جعلها تحافظ على موقعها التفاوضي الذي قدمته الى العالم. واليوم ينطلق منها أخطر الملفات وهو التطبيع وزيارة نتنياهو كشفت أن العلاقة قديمة وسرية والتنسيق بين مخابرات البلدين قديم أيضاً يصل لعقود. «إن زيارة رئيس وزراء الاحتلال الإسرائيلي نتنياهو لسلطنة عُمان هو نسف لمبادرة السلام العربية القائمة على أساس الأرض مقابل السلام الشامل ومن ثم إقامة العلاقات بين الدول العربية وإسرائيل». – إشارتان مهمتان تستحقان التوقف ملياً أمامهما، في التداعيات المرافقة لقضية مقتل جمال الخاشقجي، ومستقبل ولي العهد السعودي المسؤول الأول عن العملية، ومعه مستقبل السعودية، الأولى هي ما بات شبه مؤكد عن مشاركة أجهزة الأمن الإسرائيلية والإماراتية، وربما بعض الفروع من أجهزة أميركية في العملية، والثانية ما بات واضحاً عن انطلاق عملية تشاور دولية واسعة النطاق تطال أميركا وروسيا وأوروبا من جهة، وتركيا وإيران و»إسرائيل» من جهة أخرى، تتصل بكيفية إدارة ملف مستقبل السعودية بصورة لا ترتب خسائر وانهيارات اقتصادية وأمنية وسياسية في منطقة غاية في الحساسية والأهمية، في ظل غياب بدائل جاهزة للنظام السعودي القائم، والذي لم يعد ممكناً التعايش مع وضعه الراهن، وقد دخل في الاحتضار مع فقدان القدرة على القيام بأدوار إقليمية، وانطلاق موجة عالمية يصعب السيطرة عليها، تكبر ككرة ثلج تطالب بعزله ومعاقبته، وصولاً لتجريم كل علاقة معه. – «إسرائيل» التي يعني أمنها الكثير لواشنطن تشكل الخاسر الأكبر من سقوط الهالة التي أحاطت بالحكم السعودي لعقود طويلة، كما كانت الخاسر الأكبر من عجزه عن تأدية موجباته بتأمين شريك فلسطيني في صفقة القرن وإطلاق حلف عربي إسرائيلي بوجه إيران، وتليها الإمارات التي ربطت الكثير من مكانتها بصعود ولي العهد السعودي، بعد تحوّلات جذرية أدخلها ولي عهد أبو ظبي محمد بن زايد على أسلوب الإمارات في التعامل مع توازنات المنطقة، وعلى مكانتها الخاصة التي تتسم بالاعتدال في قلب هذه التوازنات، وجعلها رأس حربة في التعاون الأميركي السعودي الإسرائيلي. أما واشنطن التي شكل الاستثمار على مكانة محمد بن سلمان رهانها الرئيسي المالي والسياسي مع التراجعات التي أصابت السياسات الأميركية في المنطقة، مقابل تنامي وتعاظم الدورين الروسي والإيراني، تجد أنها بين استحالتين، الأولى تجاهل حقيقة أن أمر بن سلمان قد انتهى وأن لا شيء سينفع في تجنيب السعودية الاهتزازات المقبلة، والثانية استحالة ترك الأمور تتم من تلقاء ذاتها دون إحاطة تتيح التحكم بالتحولات ومنع حدوث مفاجآت يمكن أن تخرج عن السيطرة سواء في سوق النفط أو في توازنات المنطقة، أو في خيارات انتحارية يمكن أن يقدم عليها إبن سلمان وهو يستشعر مصيره المظلم. – بالمقابل تقف إيران ومعها بالتتابع اليمن وقطر والفلسطينيين والبحرانيين على رأس قائمة المستفيدين من هذا المسار الانحداري المتتابع في وضع الحكم السعودي، وتقف المعارضة السعودية في الصف الأول للمستفيدين، وسيكون هؤلاء جميعاً على لائحة الطلب لجهة السعي لإقامة تفاهمات معهم تضمن مشاركتهم أو تغاضيهم أو تسهيلهم، في حال تبلور أي خطة انتقالية يتوصل إليها اللاعبون الكبار، خصوصاً واشنطن وموسكو، بينما تشكل تركيا وروسيا وبنسبة أقل الصين، الجهات التي يجب التفاهم معها حول الخطة الانتقالية، التي تؤمن الانتقال الهادئ بالسعودية من وضع إلى وضع جديد، وإلا فإن واشنطن تدرك أن اي عناد في تجنب هذه الشراكات والتعامل مع حصرية القدرة على التحكم بالمسار السعودي ستجلب الكوارث، وتقف أوروبا في هذه العملية على نقطة الوسط بين كرة الثلج المناهضة للحكم السعودي في الرأي العام العالمي التي تضغط عليها، وبين لعبة المصالح التي تفرض البحث عن موقع ودور من بوابة المشاركة في صفقة السعودية المقبلة. – مصير السعودية سيتقدّم على مستقبل الحل السياسي في سورية، في القمة الرباعية التي ستسضيفها تركيا وتضم معها روسيا وفرنسا وألمانيا، والتي ستعقد خلال يومين، ومصير السعودية سيكون الطبق الأول على مائدة الرئيسين الروسي والأميركي في قمة باريس التي ستجمعهما بعد عشرين يوماً، ومصير السعودية سيجعل من التعامل الأميركي مع موعد الرابع من تشرين الثاني كموعد لإطلاق ما سمي بالحزمة الخانقة من العقوبات ضد إيران بقدر من العقلانية والتروي، سواء بسبب محدودية التجاوب العالمي مع العقوبات، أو بسبب الحاجة لتفاوض غير مباشر وتحت الطاولة مع إيران، لضمان تسهيل الانتقال الذي سترسو عليه السفينة الأميركية في مقاربة مستقبل السعودية بالتنسيق مع روسيا وتركيا وأوروبا. برلين تبحث إلغاء تصدير الأسلحة إلى الرياض وباريس تدرس إجراءات عقابية ضدها ولندن تلغي تأشيرات دخول المشتبه بهم في القضية..
للإمارات الجودو ولقطر الجمباز: لسان التطبيع يجمعنا!